Author’s Note: This is an important and large topic. For this reason I am presenting it in two parts. The misery of the Great War ended at the eleventh hour on the eleventh day of November 1918. Soldiers from Alberta trickled home with the last of them returning by late 1919. These servicemen wanted to come home and pick up their lives where they left off, but nature had other plans. If you tour older cemeteries in Alberta you will notice in the period from 1918 to 1920 many graves are of young persons. Once you realize this was the time of the great influenza pandemic, these names shout out the impact to the reader of the inscriptions on the silent stones. In the summer of 1918 influenza ravaged the world with the Spanish Flu. The society of 1918 had no vaccines for influenza, or any other disease for that matter. Influenza is incurable even in the 21st century. The impact on the Province of Alberta and the world was unimaginable. An estimated 20 to 40 million people died of the Spanish Flu worldwide. People could be healthy in the morning, sick by noon, and deceased by evening. Health officials named this strain the “Spanish” Flu, not because it originated in that country, but because Spain was neutral during the period 1914 to 1918; better statistics and reports emanated from that country due to lack of censorship. Other countries repressed the true extent of the pandemic to maintain morale during wartime. More people died from the flu than soldiers killed in the war. Symptoms included, severe headache, high fever; chills, aches, and pains in the back and limbs. The flu caused severe problems breathing because it attacked the lungs. Those who didn’t perish in the first few days died later of complications such as pneumonia. Persons between the ages of 20 and 40 were the most susceptible and the majority of the deaths occurred in this age group. To this day no one knows the reason for this. In the early 1990’s Canadian scientists located several 1918 flu victims buried in a permafrost cemetery in Norway. Bits of viral RNA from their preserved flesh enabled scientists to reconstruct the virus. Scientists in a Winnipeg lab used tissues from First World War soldiers to restore the virus. All this research occurred in high security medical labs. The goal is to find a vaccine. So far they have been unsuccessful. Influenza, like the common cold, has no known cure. Advice given by health authorities of the era included, wearing of masks to prevent the spread of the disease. Avoiding public gatherings, and public places like theatres and schools was encouraged. Health officials recommended patients drink lots of water, limit exposure to cold, and get lots of fresh air. The Spanish Flu came in two distinct waves, first in the summer of 1918, and then the spring of 1919. Remarkably it disappeared as fast as it arrived. Unknown to them, Canadian soldiers returning home brought the flu virus with them. By the end of the pandemic, an estimated 50,000 Canadians were dead out of a population of about 1,500,00 persons. Some smaller villages were almost wiped out. Alberta had a population of about 500,000 in 1918, over 4,300 Albertans died from the flu. In the United States 675,000 people died from the flu out of a population of around 7,000,000. The flu terrified the populace of Alberta and the rest of Canada. Almost everyone who went outdoors wore a face mask. In fact on October 25, 1918 the government of Alberta ordered all citizens to wear a mask when they left their homes. Closed communities, like remote villages, were most vulnerable. Aboriginal communities were some of the hardest hit. The flu decimated the First Nation populations. Their settlements were small and close-knit enabling rapid spread of the disease. Many of them had not been previously exposed to influenza and thus were vulnerable. Medical care did not exist in the settlements, often they were left alone to suffer the ravages. In Alberta gatherings of more than six people were banned. It was a criminal offence to shake hands. Public areas were closed. These included schools, theatres and any other public buildings or facilities. Throughout Canada hearses filled the streets. Hospitals were overflowing and doctors did not know what to do. People tried everything and anything to defeat the flu. Some of the more exotic cures were smoked herrings worn around the neck, drinking alcohol, eating garlic, raw onions, drinking mixtures of hot milk, ginger and black pepper. Quarantine was implemented to no avail. Antibiotics were not available to fight the secondary bacterial pneumonia. This compounded the impact of the flu and many deaths were from complications such as pneumonia. The reason the Spanish Flu caused rapid death has only recently been explained. It seems this strain of influenza filled the lung tissue with liquid preventing oxygen from reaching the rest of the body. The question for scientists is, could this happen today? The answer seems to be a resounding yes. Science today has technology to develop vaccines for various strains of influenza, but to date they have been unsuccessful in finding a vaccine for the Spanish Flu virus of 1918-1919. Might this virus reappear? There is no reason to think it could not. Society in 2010 has several advantages over the society of 1918, better hygiene, and the ability, perhaps, to create a specific vaccine for the virus. In addition we have better medical technology and facilities. Lastly, antibiotics are available to battle bacterial complications such as pneumonia. The impact to Alberta and society in general would be significant. People would still get sick, but it should be possible to minimize fatalities. Health authorities in Alberta and worldwide must remain vigilant. Murder trio are sentenced to life for murder of young father Ryan Lane. Sheena Cuthill-Rempel, her husband Tim Rempel and his brother William Rempel convicted of first-degree murder earlier this week in the murder of young father Ryan Lane were sentenced today to life in prison with no chance of parole for at least 25 years. The victim Ryan Lane, 24 years of age, was the father of the child he and Sheena had from their relationship. He was murdered and his body burned in a trash barrel in 2012. The three plotted and carried out his killing as a simple way to solve the custody dispute. Obviously this is not the way to settle custody disputes. Many mechanisms exist to settle disputes resulting from marital break-ups, murder should not be one of them. It never ceases to amaze me how barbaric and evil humans can be when relationships go bad. For whatever rationale these three twisted scum decided to kill another human being to settle a custody dispute. The mother, her new husband and his brother took it upon themselves to kill the father of the woman’s child rather than deal in a civilized way with custody. As a result the father is dead, the three are in prison for life, and the child is left motherless and fatherless. This will affect the child and other family for the rest of their lives. Perhaps more education and publicity needs to be done to make society aware of free services available to them in times of conflict and marital troubles. It’s not obvious if it would have helped in this case, but maybe it would help others make better decisions. Criminal minds being what they are, small and shallow, it’s likely it wouldn’t have changed the mindset of these evil individuals. At least they won’t be a part of society for a long, long time if ever again. This was murder most foul and for such a senseless reason. Prayers and thoughts to the young child and her family. Calgary has seen a epidemic of gun violence this week and over the last few months, yet Canada has some of the most restrictive gun laws in the world so what is happening. It sure isn’t the legitimate gun owners who are the problem. For a Canadian to possess a gun they must complete a safety course and have a background check. Those with criminal records are not allowed to own guns. Having the proper approvals they must present the documentation at the time of the purchase. Guns can be sold only through licensed dealers and not at flea markets. Even private sales have to meet this criteria. Gun owners are required to notify the police of a transfer of ownership. This applies to rifles and shotguns. Military weapons, machine guns, full automatics and others are completely restricted. Handguns are totally restricted unless a person has a special permit to have one. These are extremely difficult to obtain. Gun owners are also required to keep guns properly stored under lock and key. Ammunition must be stored separately under lock and key. Well I hate to tell you this but bad guys aren’t going to get permits to have guns. I can see it now. Joe Gangmember getting ready to do a drive-by shooting tells his boss gee I need to get a permit otherwise the hit is off. God forbid I go stick-up that bank without proper permits. Yeah right. Simple Answer – keep the guns out of the hands of criminals. That`d be a start. Easier said than done, but we have to try. How to do that is a big question, but the police and justice system better start figuring a way. We are reverting to our wild west days and someone is going to get hurt or killed besides the bad guys. You know when it comes right down to it I don’t care if bad guys kill bad guys, that’d be a good thing, but the bullets fly in public places and hurt innocent people. So unless we can get the bad guys to kill each other in a private place away from the public we need a solution. The bad guys get guns from two main sources. First from break-ins or thefts from homes and businesses where there are firearms. Second from other criminals who smuggle them in from the neighbouring USA where gun laws are much looser. Handguns are easy to obtain in the USA. It is illegal to bring them into Canada, but that is obviously happening and on a large scale. 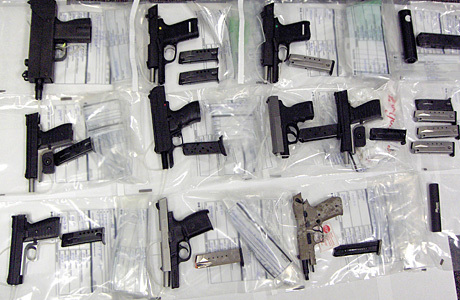 Every once in a while we read of a seizure of guns at the border crossings, but the authorities can`t catch them all. So here`s some suggestions for the police and justice system. – increase scrutiny at the border crossings. – charge gun owners who don`t store firearms and ammo properly. – clamp down on break and enters, especially where firearms are known to have been taken. – concentrate police resources on criminals known to use firearms. – increase penalties to perps who use firearms in the commission of a crime. We need answers. Do you have any ideas? I`d love to hear them. Calgary pedestrians: Cross at your own risk. In 2014 there were 411 pedestrians injured and 7 pedestrians killed on Calgary streets. This means at least one person per day is hit by a vehicle and injured in Calgary. The city boasts that pedestrian injuries and fatalities have declined over the last several years. I say so what. Any injury or fatality is one too many. Calgary is not a safe place for pedestrians to be at large. Many factors contribute to this. Calgary is a major city now with a population of about 1.2 million persons. There are many more pedestrians and drivers in the city. Both pedestrians and drivers are at fault. Assuming pedestrians don’t jaywalk and cross at crosswalks or street corners, the law protects them by specifying vehicles must yield the right-of-way to them. Crosswalks are marked with signs, markings on the pavement, and sometimes flashing lights overhead or next to the crosswalk. Most if not all intersections with traffic lights also have a walk light indicating when it is safe to cross. The fine for driving through a marked crosswalk while a pedestrian is crossing is $500. You’d think that’d be adequate deterrent for a driver, but unfortunately many don’t stop, or in many cases even slow down. On roads with multi-lanes this is all too common. Some drivers in some lanes stop, but drivers in other lanes keep driving oblivious to why the drivers in the lanes beside them are stopped. How can pedestrians protect themselves? – Indicate to the drivers you want to cross by extending your arm. This is the accepted signal that you are about to enter the crosswalk or intersection. – Look on-coming drivers directly in the eye ensuring they see you. – In multi-lane crosswalks be alert for drivers in other lanes as you cross. Make sure they’re stopping too. Don’t assume. Again look directly at them as you cross. – At night try not to wear dark clothing that decreases your visibility to drivers. Many crosswalks and intersections are not well-lighted. – Don’t be a distracted pedestrian, don’t talk or text on your cellphone, shut-off the music in those headphones before you cross. How can drivers ensure pedestrians are protected? First of all let me make it completely clear – you don’t ever want to hit a pedestrian. Lifelong guilt and remorse along with expensive lawsuits will result. – Slow down when approaching crossings. – Be alert when you approach crossings for pedestrians about to cross or in the crossings. – If cars in adjacent lanes are stopped, guess what they’re stopped for a reason. Watch out for that pedestrian. – At night watch extra closely for pedestrians who may not be as visible as they should be. – Don’t drive distracted. Get off that cellphone. For goodness sake don’t text and drive. I like music when I drive too, but turn it down in the city. – Don’t drink and drive. How can the City of Calgary protect pedestrians? Here are some suggestions for improvement. – Markings on the pavement should be in phosphorescent paint to increase visibility for drivers and pedestrians, especially at night. – Heavily used crosswalks should have pavement markings and overhead flashing lights. – Much more police enforcement needs to be done at crosswalks. The statistics reflect this need. – More education of drivers and pedestrians should be done in the media or through hand-outs. Many pedestrians don’t know the correct and safe procedures for crossing a street. Children get this information through the school system, but adults have either forgotten or never learned the steps. The City of Calgary and Calgary Police Service have brochure available and the link is below. Finally as one who is a driver and a pedestrian I urge pedestrians, drivers, and the City of Calgary to be proactive. There is a lot of room for improvement in this area. 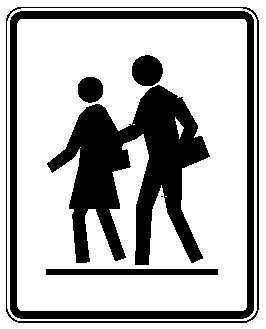 Let’s make it safer for everyone. I entered a new phase of my life recently. Lucas Kendall Prior came in the world October 19, 2008. He weighed in at 7 lb 13 oz., and was 21 1/2 inches long. Birthplace was Calgary, Alberta. My daughter Tricia and her husband Stephen Prior are the proud parents. It’s a bit of a strange feeling, but I’m proud to be his grandfather. Once I held him for the first time, I immediately fell in love with him. This picture of him was taken a couple of weeks ago. He is a real charmer. Canadian politics are likely as confusing to an outsider as American politics can be to an outsider. Yesterday we had our general election. It was the 40th in Canadian history. 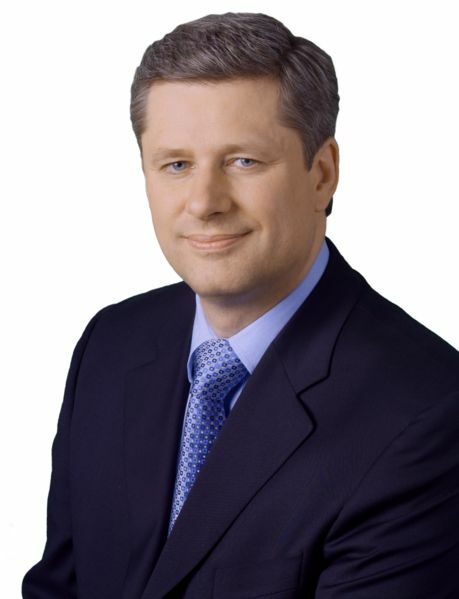 The result was the re-election of the Conservative Party minority government with their leader Stephen Harper as Prime Minister. They did increase the number of seats by ten, but still didn’t achieve their hoped for majority in Parliament. In Canada the leader of the party with the most seats in Parliament becomes the Prime Minister. To gain a majority government, the party needs 155 seats. Each representative elected is called an M.P. (Member of Parliament). There are two main parties in Canada. The Liberals who have historically governed Canada the longest, and the Conservatives. The Conservative Party as it exists now is the result of a merger between the Progressive Conservative Party and the Reform Party. The Liberals are the Canadian equivalent of the Democrats in the U.S., the Conservatives are the equivalent of the Republicans. Canada’s House of Parliament is representation by population. The American equvalent is the House of Representatives. Our Senate consists of appointed members and is not equal in representation like the America Senate. Many in our country would like to see reform in this body. Right now it is a reward for party faithful. Their power is severely limited. The only thing at all like the U.S. Executive Branch is the Prime Minister and his Cabinet. Cabinet members are appointed by the Prime Minister, but must hold a seat in Parliament or in the Senate. Only rarely does a cabinet member come from the Senate. born April 30, 1959 in Toronto, Ontario. married Laureen Teskey in 1993. They have two children: Ben, born 1996, and Rachel, born 1999.